Berlin celebrates the centenary of the Bauhaus on its streets, at the festival centre and on a number of city rooftops. With an exhibition in shop windows along Kantstraße the history of Bauhaus will be explored. In addition there will be a wide-ranging programme of events which includes early-morning urban yoga classes. Bauhaus week berlin 2019 will offer visitors the opportunity to explore and interact with Bauhaus design and architecture in outdoor venues throughout the city. The full week of events will be kicked off with the long night of museums and end with the European Heritage Day, a day of special openings of monuments otherwise closed to the public, both of which will focus on Bauhaus and modernity. Another highpoint will be the opening of an anniversary exhibition organised by the Bauhaus Archive/Museum für Gestaltung entitled “original bauhaus” at Berlinische Galerie. The shop windows of selected retail shops along Kantstraße near Savignyplatz and on parts of Potsdamer Straße will act as public venues for an exhibition exploring the history and ideas of Bauhaus. They will feature each of the Bauhaus’ three directors (Walter Gropius, Hannes Meyer and Ludwig Mies van der Rohe) as well as the school’s three locations (Weimar, Dessau and Berlin) including the progressive structure of teaching and learning, the relationship between masters and pupils and the school’s diverse workshops. Bauhaus' colour schemes, it's architecture and many objects will be on display alongside details about its financing and everyday life at the school. Bauhaus week berlin 2019 will invite visitors to attend early-morning yoga classes on nine selected terraces and interesting rooftops in the city. These events will use the exercises performed by the female Bauhaus students on the roof of the school in Dessau as a model and complement the early-morning yoga sessions with architectural reflections on each respective location. The festival centre will be open in the mornings. 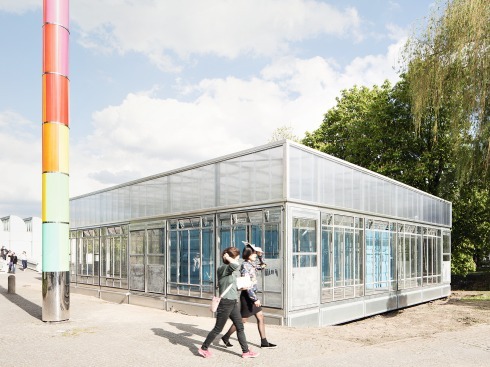 Its architecture will be a pavilion of dismantled window elements taken from the original Bauhaus building in Dessau. It will be located in the centre of Ernst Reuter Platz inviting visitors to experience a hidden oasis amid the bustling Berlin traffic. 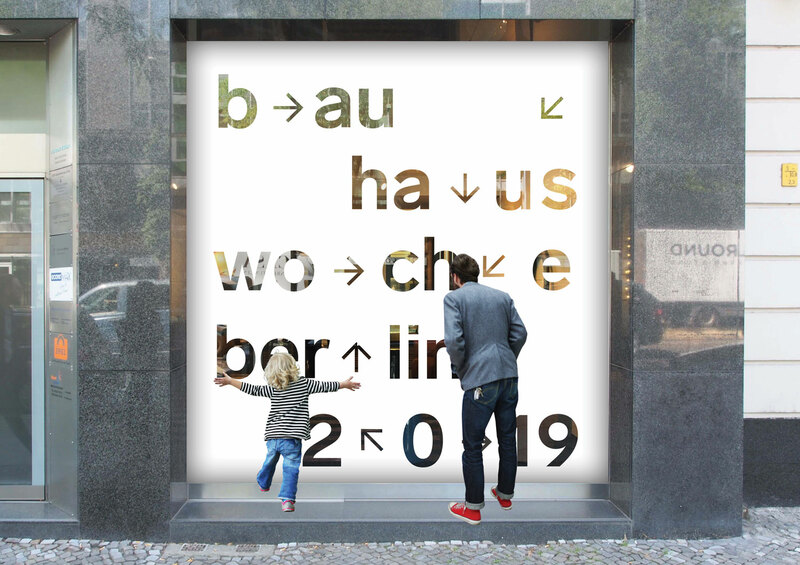 This is where the various threads of bauhaus week berlin 2019 will converge; where visitors will find information on all participating institutions and museums; and where architectural and shop-window exhibition tours will begin. A café will offer a small selection of food and drinks. Under the moniker Bauhaus — Praxis — Gegenwart (Bauhaus & contemporary practice), the school and its ideas will be examined in various satellites throughout the city: in museums, architectural offices, design studios, advertising agencies, printing workshops and typographers. Visitors will have the opportunity to listen to lectures, take part in workshops and enjoy other informative events, thus gaining further insights into the methods of contemporary creatives exploring the Bauhaus today. 31.08.–08.09.2019, daily 10 a.m.–10 p.m.
Don’t miss out! Subscribe to our newsletter covering bauhaus week berlin 2019!